I Am Not Alone! Israeli Archaeologists Use Facebook to Help with Their Mysterious Vs. This is truly amazing. 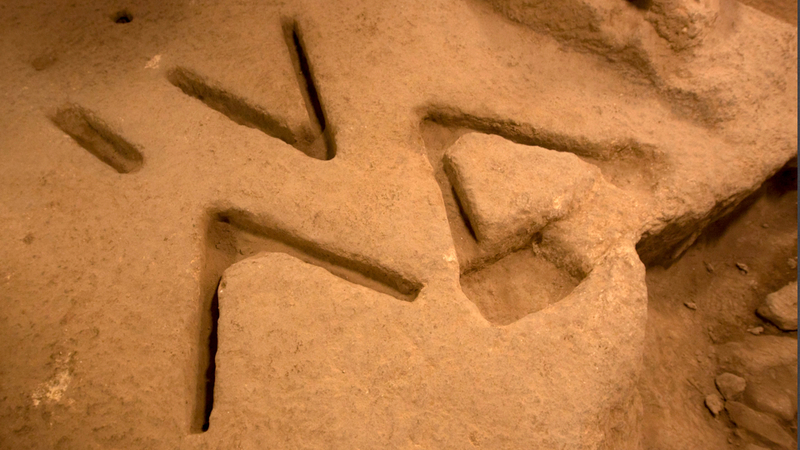 Israeli archaeologists the other day reported finding several enigmatic V-shaped grooves in the floor of an excavated room. Totally stumped, they did something akin to what I’m hoping to achieve through The Subversive Archaeologist. They set up a facebook page and asked the world to come up with ideas. Today’s irishtimes.com says that the Israelis have received 20+ thousand suggestions! A free trip to the archives for the best suggestion left in the comments. ← Please Help By Taking the Poll: How Did You Get Word of This SA Post? Well, that's good news, except who is going muddle through the 20+thousand suggestions? I like the idea though. I also understand that researchers working on the newly-discovered Australopithecus sediba remains in South Africa are going open source and have asked John Hawks (palaeoanthropologist who blogs a lot) to help them reach the online community of researchers to aid in their research design.